Stocks rose on the U.S. central bank’s comments reiterating that interest-rate moves depend on economic conditions. Ditto for the pace of shrinking its balance sheet. That’s nothing new, yet overly sensitive investors needed the reminder. For now the Fed is holding their hands. Federal Reserve Board Chairman Jerome Powell arrives at his news conference after the two-day meeting of the Federal Open Market Committee (FOMC) on interest rate policy in Washington, U.S., June 13, 2018. The U.S. Federal Reserve on Jan. 30 left the target range for the federal funds interest rate unchanged at between 2.25 percent and 2.5 percent. The Fed said that it would be “patient” as it assesses rate moves because of global economic and financial developments in addition to muted inflation pressures. The central bank also repeated earlier guidance on its balance sheet normalization program. 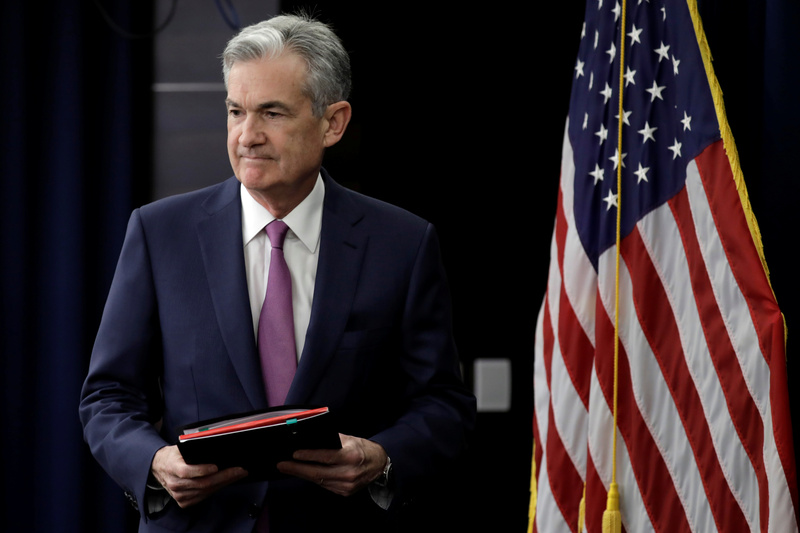 The Fed said it is prepared to adjust its balance sheet runoff based on economic and financial developments, though it reiterated that adjusting interest rates was its primary monetary policy tool. Starting in October 2018, the maximum amount the Fed allowed to roll off its balance sheet each month was $30 billion in Treasury securities and $20 billion of agency debt and mortgage-backed securities. Before the financial crisis of 2008-09, the Fed’s balance sheet was under $1 trillion in size. It topped $4.5 trillion in December 2014; the runoff, which began in the last quarter of 2017, has so far reduced it to just over $4 trillion.